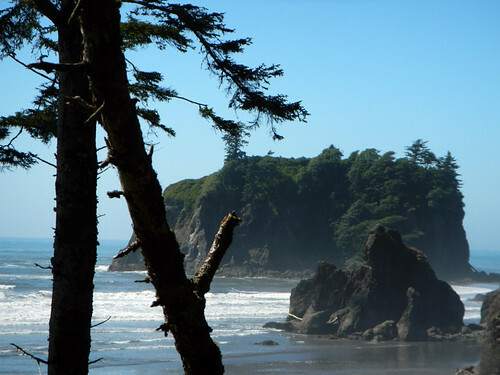 According to several sources, Ruby Beach was named because of the ruby-like crystals, possibly garnets, that washed up on the beach. 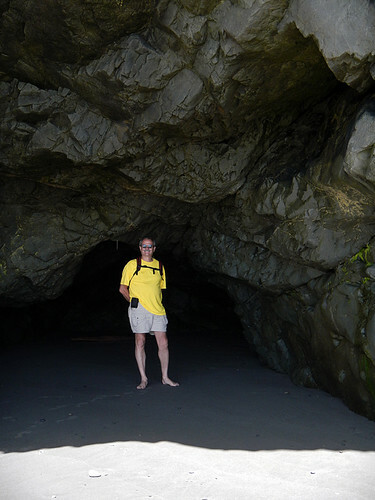 So beach combing on Ruby Beach had me on the lookout for red jewels but I couldn’t find anything precious and valuable. 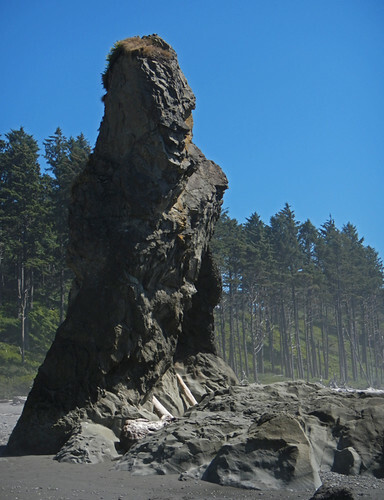 But in many ways, just wandering along Ruby Beach, the sea stacks rising out of the salt haze, is valuable enough. This is a sea stack with hole in it. 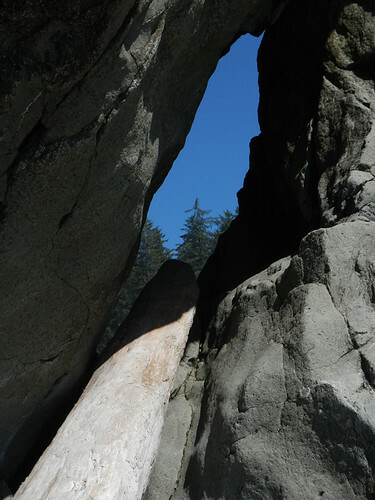 The hole turns this sea stack into a rock with a view. 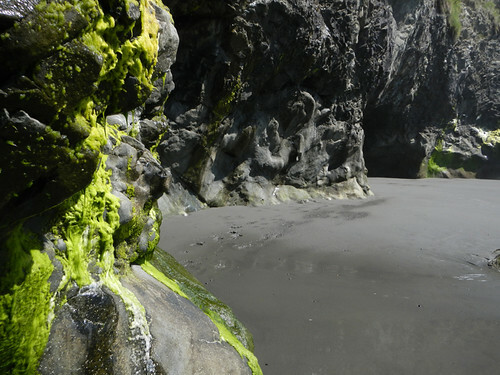 If you continue down the beach there is a series of shallow caves covered in green algae. 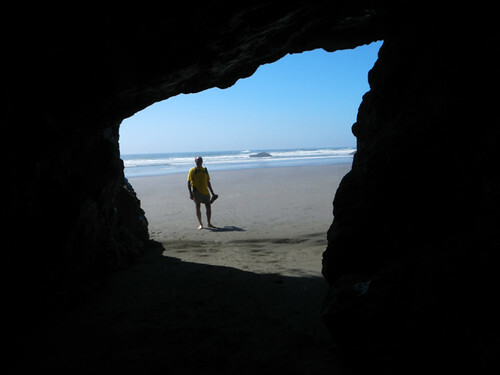 Outside the caves, looking in. Inside the caves, looking out. 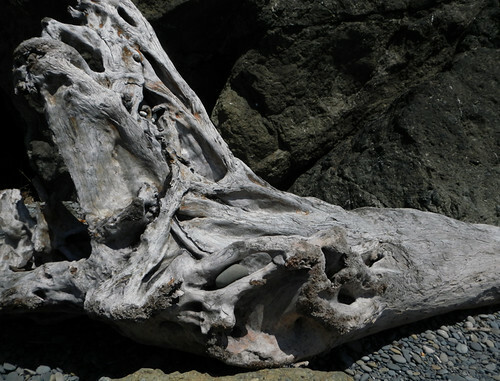 Driftwood embedded with beach pebbles. 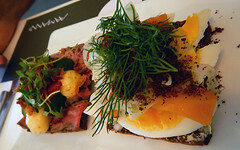 The beach is a mix of smoothly rounded pebbles and sand. 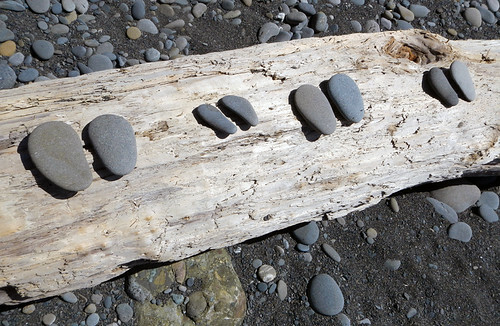 Here is a family of beach pebbles. Looks like a wonderful strip of country! I love the pebbles family!